This week I stumbled across a bottle of the most recent Angels' Envy Cask Strength after thinking I had been shut out. 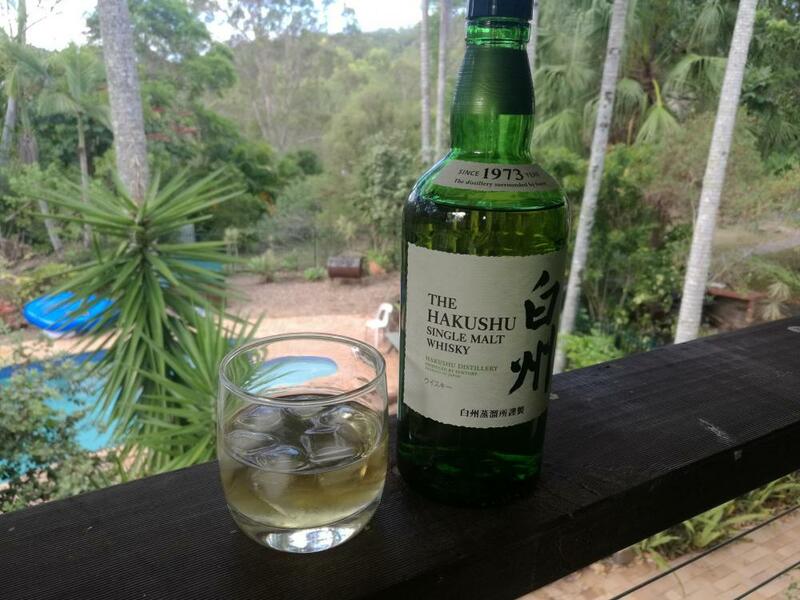 A nice find as I have been able to find at least one bottle each year since it has been available and always enjoyed it. Also picked up a locally made, if very young, rye called Resurgens from ASW distillery. It is an all malted rye (think along the lines of Potrero) with a bit of chocolate malt to help balance some of the grainy character of its youth. OK, maybe not an everyday neat pour but works nicely in rye forward cocktails. And this weekend I picked up some "bierschnapps" from another local independent distillery called, naturally enough, Independent Distilling Company! Owner/distiller of this small operation is a very nice and enthusiastic distiller who has worked with a couple of local breweries to make spirits from their beer wort in addition to his own rum, bourbon and corn whiskey. This one was some left over Feest Noel from Three Taverns in 2014 that has been aging for 18-20 months or so and is being released as a special one off just in time for the holidays. Somehow didn't manage to get a picture 9shocking I know!) 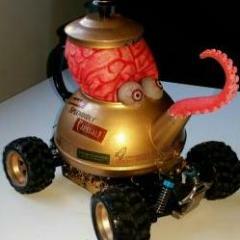 but some additional info on the unique mashbill can be found the distillery website. Not at the liquor store per se but I took delivery of 2.4 kilograms of carbon dioxide. In 9.4 kilograms of packaging. For a gas I must say it was hard to get upstairs. 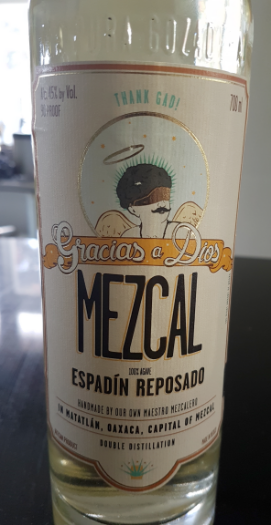 Never heard of it before, but good mezcals are hens' teeth territory here (it must be a good one because it cost lots ...). I will say it smells great. The taste test is yet to come. Apparently they also make an agave gin. That I'd like to try. The gin does sound interesting but if they distill it to a neutral spirit would it really make tha much difference what they use? I guess one can only hope they take it off the still at well below 95%. And despite its eye-watering price, I really like it on an initial taste with a little water. I think it's the most expensive bottle of spirits I've ever bought (so far). I'll try it in one or two of my favourite rye cocktails - D&C's Manhattan Transfer comes to mind - and report my findings in due course. Is there a What Didn't You Buy At The Liquor Store Today thread? To my dismay, K&L Wines of California has stopped shipping to NY, just as they're bringing in a raft of mouth-watering (and generally well-priced) brandies and r(h)ums. Thankfully I've secured a California-area mule, but a long-overdue trip up the PCH, collecting bottles and dispensing boomerangs as I go, might be in order. I understand K & L will stop all interstate shipping at the end of the month. Call your state legislature so we can continue to get interesting wine and liquor by mail. Tell them this is not kids ordering liquor for Friday night parties. Picked up a case of Mezcal Vago Mexicano. Vago mezcal is friggin awesome. It's bright, mineral, and delicious. A recent order from Hi-Time. The Sipsmith London dry gin, Briottet crème de peche de vigne, yellow Chartreuse, El Dorado 8 and Plantation pineapple rum are restocks. 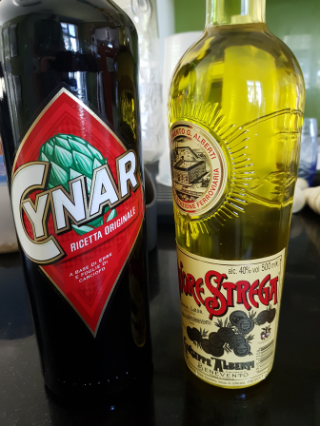 We haven't had real Cynar for a while - been going through my own version, which I may say in all modesty is nowhere near as good as the proper stuff. The Strega is new to us and has made a very nice La Bateleur tonight. It's a(nother) delicious Death & Co recipe, which in the D&C book is Le Bateleur. Clearly a gender-diverse drink, but I believe the masculine is the correct rendition. Got these last week but haven't had a chance to post them yet. A few odds and ends arrived in the mail. That is almost always fun! Three rums I was having a hard time sourcing locally, a "white whale" rye whiskey and a couple of rather odd French marc brandies. The Jacoulot marc from Burgundy is aged seven years and was reviewed recently here. Based on the review it was hard for an oddity junkie like me to pass up! The Marcs du Jura (aged 10 years) somehow ended up in the shopping cart with it. I am a fan of Macvin du Jura and also really want to try a vin juane because, well, just because! Have tried the Jacoulot and it is indeed funky but in a peculiarly enjoyable way. 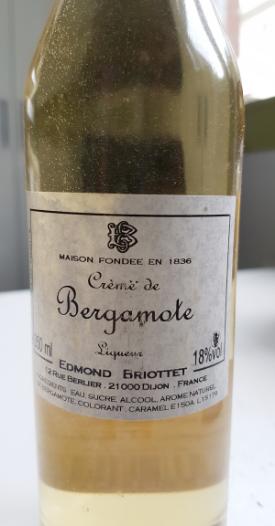 it was quite funky and vegetal but rather like an agricole finished in port or PX sherry with a raison-y character, but with a finish that sticks in your palate for-ev-er! Fortunately no notes of rotting garbage on the nose or palate but not your ideal first pour of the night unless you just like starting with a completely trashed palate! 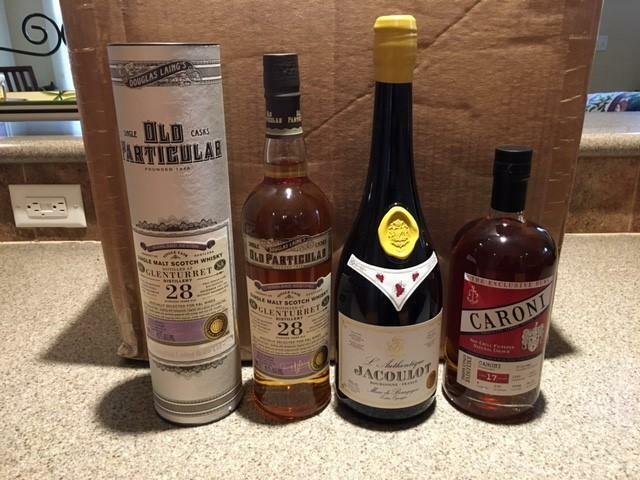 The Plantation OFTD and new Lemon Hart 151 will allow me to do a couple of high proof rum comparison tastings just for fun as soon as I can find time to do the tasting and then take about a four hour nap! I haven't quite yet found that much time unfortunately. The Clement agricole is reportedly aged for a bit less than 4 years in "New American Oak". A store local to me did a barrel but cut it to about 88 pf. The new one from K&L is supposed to be at cask strength of 125 pf (hmm, rather a convenient round number). They were distilled AND bottled on the same day (barrel 148 and 154). As best I can tell new American oak is essentially a charred barrel that would typically be used for bourbon. But I am not sure if it truly a char and how heavy it is or if this is more toasted than charred. Mysteries abound. Finally, the last bottle was one I lucked into thanks to a friend and fellow whiskey geek. The 16yo Hotaling's is one I have sought for a while and therefore is almost assuredly not going to live up to the lofty expectations I have set for it in my minds eye! But I am going to drink it anyway. 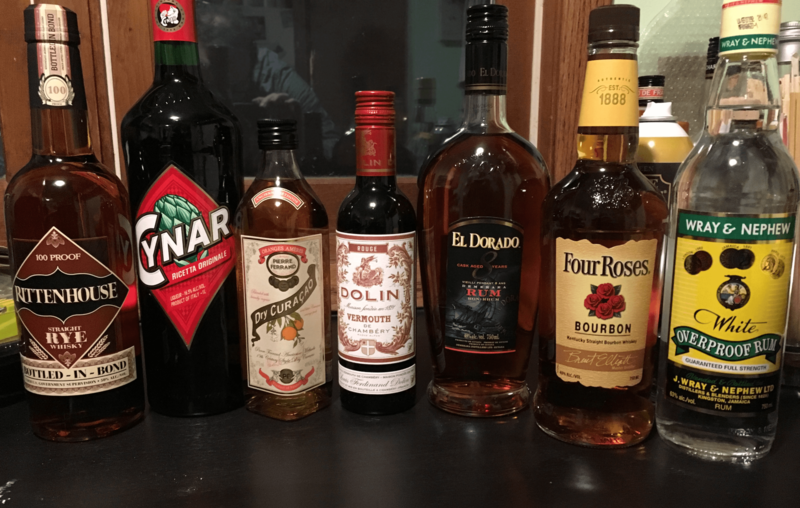 El Dorado 8 (recalling @FrogPrincesserecommendation), Four Roses, and Wray & Nephew are new to me, the others are restocks. Happy to see the PF curacao available in a 375! Lairds is a restock. Giving the others a test run. How do you use your Laird's 7.5? Because of this, which I highly recommend. One of our favourite bartenders has returned from entertaining the Vancouvrians, bringing this recipe with him. Welcome back, Gian. Nice. Do you plan on using this like you would another orange liqueur? Same brand, I really love the wild peach liqueur. It tastes exactly like the fruit. Honestly? I grabbed the wrong bottle. Got home and decided I didn't much care - it gets used in pretty minimal quantities when I mix with it so the ABV difference isn't significant. Nice view and lovely photograph. 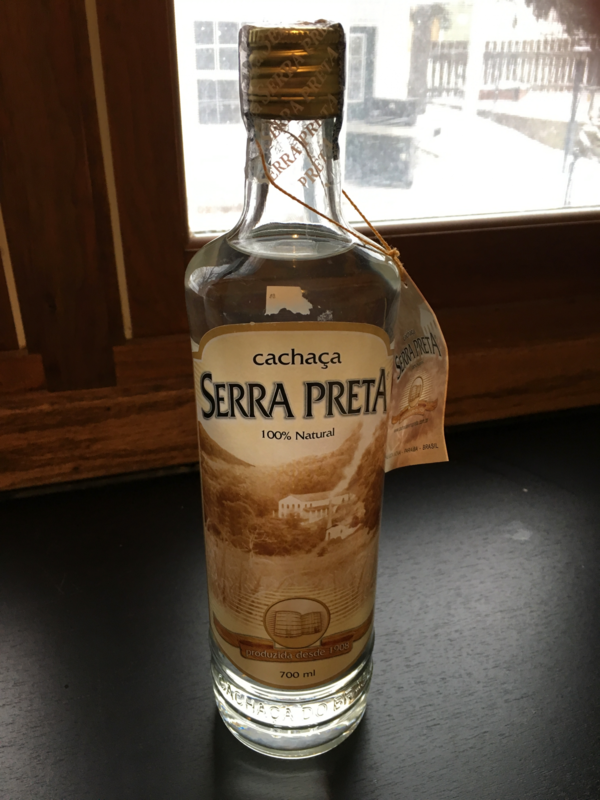 Not bought, but brought back by a friend from a Brazil business trip! I've only sampled it: taste and especially nose has quite a strong green-olive brine character. Not purchased, but traded with a friend for a copy of the newly reissued Fire Walks With Me soundtrack (which makes this officially the weirdest transaction I've ever taken part in). The bitterness is not overhyped, there are faint grapefruit notes hanging around and the nose is mostly alcohol burn. But what I like most about it is the complete lack of sweetness - I'm not opposed to sweetness in general at all, but my complaint about a few highly bitter amaros is sometimes the added sweetness makes it almost less palatable in a cough-syrupy way, when drunk straight at least. Not something I'll go to all that often but I could see the lack of sweetness making it more versatile for cocktails than something like Novasalus, which is still a hard nut to crack cocktail-wise (though anyone in the NYC area should go to Jupiter Disco and order the Dandelion Soda, which sort of proves my last sentence wrong, but seems to be more of an exception than a rule). I see a few things made with Malort on KC, will have to explore those. Not something I'll go to all that often but I could see the lack of sweetness making it more versatile for cocktails than something like Novasalus, which is still a hard nut to crack cocktail-wise (though anyone in the NYC area should go to Jupiter Disco and order the Dandelion Soda, which sort of proves my last sentence wrong, but seems to be more of an exception than a rule). 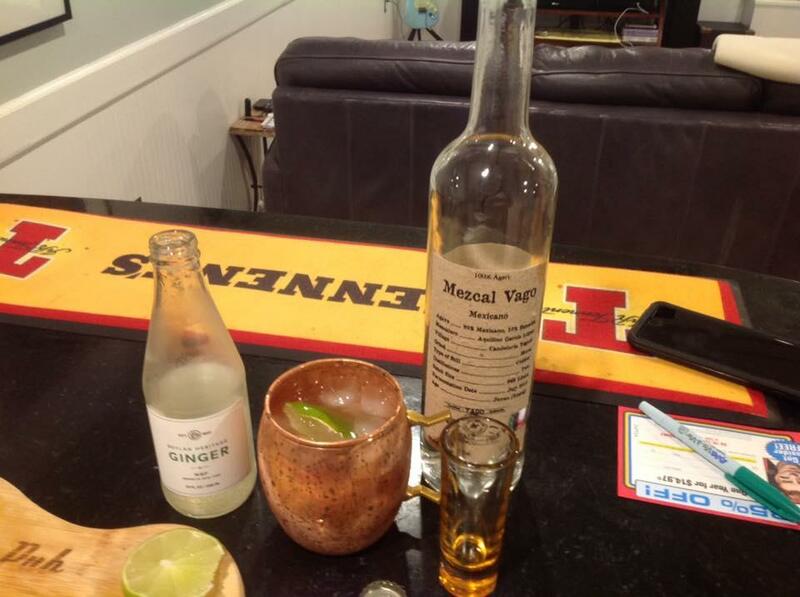 I see a few things made with Malort on KC, will have to explore those. The Dandelion Soda (Jamaican rum, lime, cacao, and dandelion amaro) sounds interesting! 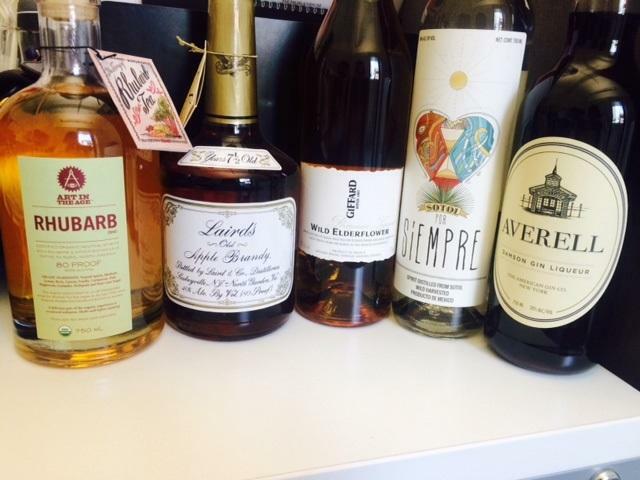 And this was a fun article in the context of your post on Malort! This week for me it was a bottle of Redbreast Lustau Irish Whiskey that I had to breakdown and order online since it didn't seem likely to show up locally anytime soon. Needed in time for the St. Paddy's weekend and our annual celebration of all things Irish Whiskey. Since I had to order the Redbreast I of course needed to ad a few more bottles to round out my order. That included several of each of these for like minded friends to share. Several friends liked the Jacoulot marc and I told them better get it now if they wanted one of their own! But I may be looking forward to the cask strength 17yo Caroni rum most of all. And so others wanted one of those as well. Who am I to deny my fellow spirits junkies what they need most? In any case by the time all the orders were placed that managed to get my order up to a nice even dozen bottles! That's funny, I read that article a few weeks ago when I found out I was getting the Malort. I tend to agree, the Novasalus might be more intimidating. One day when life is going just a little too good I'll do a side-by-side comparison and report back. 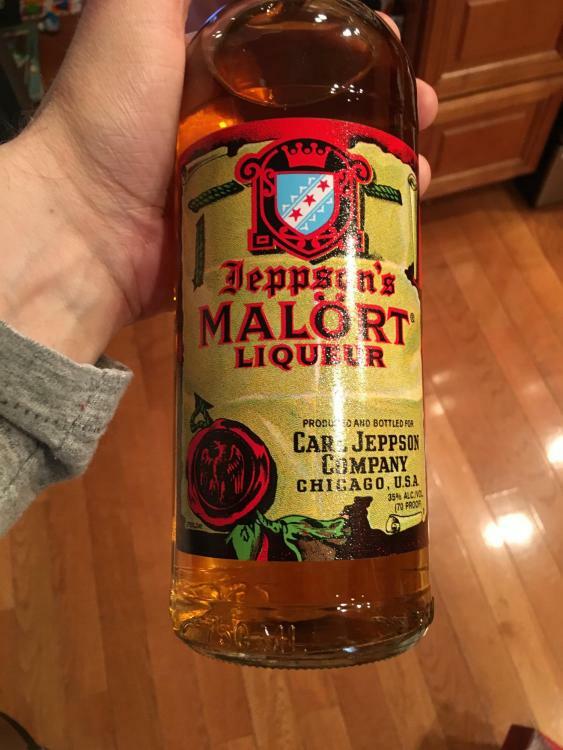 This is another funny article about Malort - "tastes like Sad Christmas" is a favorite quote. Quite funny! A favorite bartender of mine made a similar face when he tried it. I expect I did too. If I knew the proportions of the Dandelion Soda I would definitely give it a shot. My bottle of Novasalus hasn't had much to do as of late.